It began not with a computer-aided programme or even an architectural drawing board. 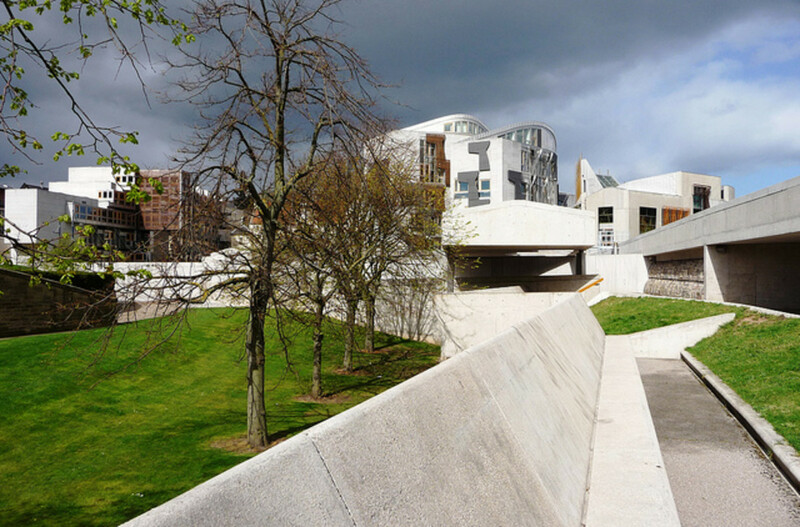 The first design for the Scottish Parliament was scribbled on a piece of paper one day in 1998. The sketch was by the late Enric Miralles a Catalan architect commissioned to create the Parliament for the newly devolved Scottish Executive. It was elegant in its simplicity and visionary in its outlook. Miralles had drawn a tree branch and from this raw beginning grew the complex and hugely imaginative structure that exists today. Miralles combined the requirements of his brief from the Scots and his own vision of how it would evolve. He was asked to design a building of high quality and of civic importance which would be secure but also accessible. 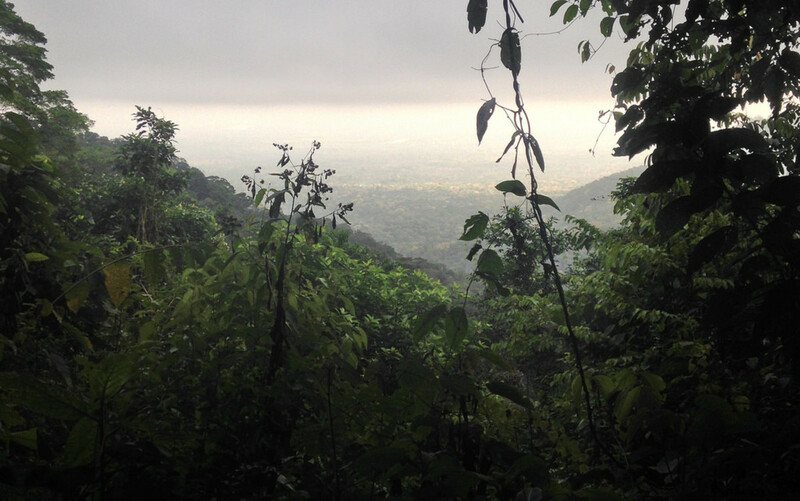 It should promote new ways of working and also good environmental practice. Perhaps above all it was a symbol of Scotland paying tribute to the many achievements of its people but also convey the future aspirations of the nation. 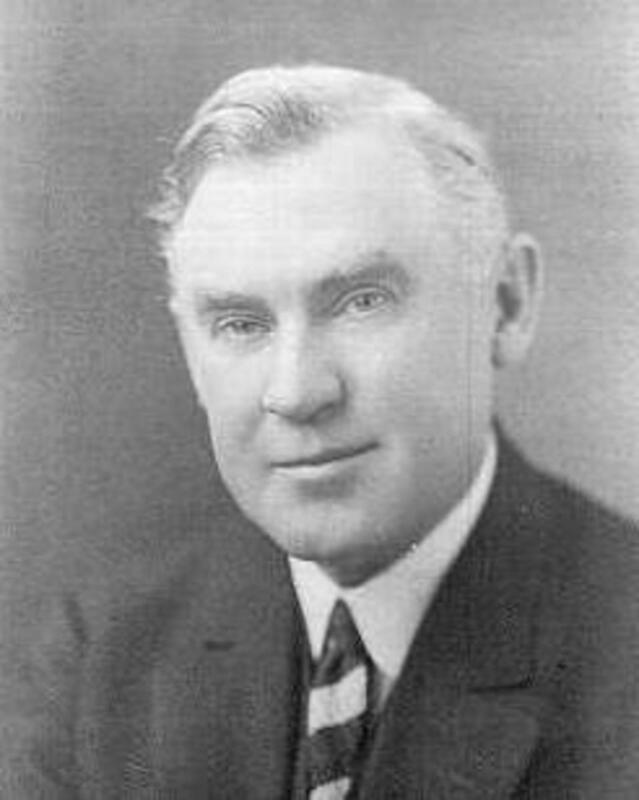 The project was overseen politically by First Minister Donald Dewar, leader of the Labour Party in Scotland. The actual design and construction was an architectural alliance between EMBT of Barcelona and RMJM of Edinburgh with engineering by Ove Arup and construction by the Bovis company. 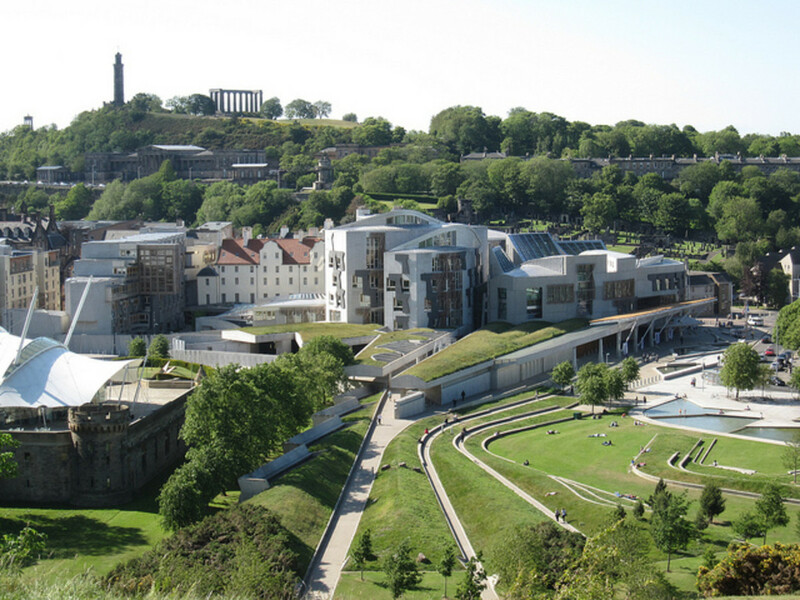 "The Parliament sits in the land and should reflect the land that it represents"
Therefore the symbolism of the design would be organic in nature and almost like a living breathing entity on the Edinburgh environment. A physical and philosophical relationship would therefore be achieved between the building and the landscape. The intention was also that it would form a "gathering situation" creating a dialogue between the land and its people in a poetic union. Sadly Miralles died in the year 2000 and did not live to see the completion and grand opening of the building in 2004. His Italian wife Benedetta Tagliabue, also an architect oversaw the the continuation of the project to produce this "grandly figurative gesture, yet without a hint of pomp and circumstance" according to Jay Merrick in 'The Independent' newspaper. Sadly Donald Dewar also died in 2000 and never saw the Parliament completed. The Parliament is a purpose-built campus of various buildings designed in the Deconstructivist style. It is a mixture of visual fragmentation and dislocation of non-rectilinear shapes that offer unpredictability and invite curiosity. The Parliament was meant to be challenging in its anti-classical attitude and de-institutionalised design. The campus style renders it non-hierarchical whilst providing a degree of openness but also intrigue from the observer. Perhaps indeed a "Celtic-Catalan cocktail" as described by Catherine Slessor in an edition of the 'Architectural Review'. The fabric of the building is mainly a mixture of granite, steel, oak and glass with origins in the previous work of Miralles. The Utrecht Town Hall in the Netherlands is a prototypical example on a smaller scale incorporating features easily recognisable of the Scottish Parliament. 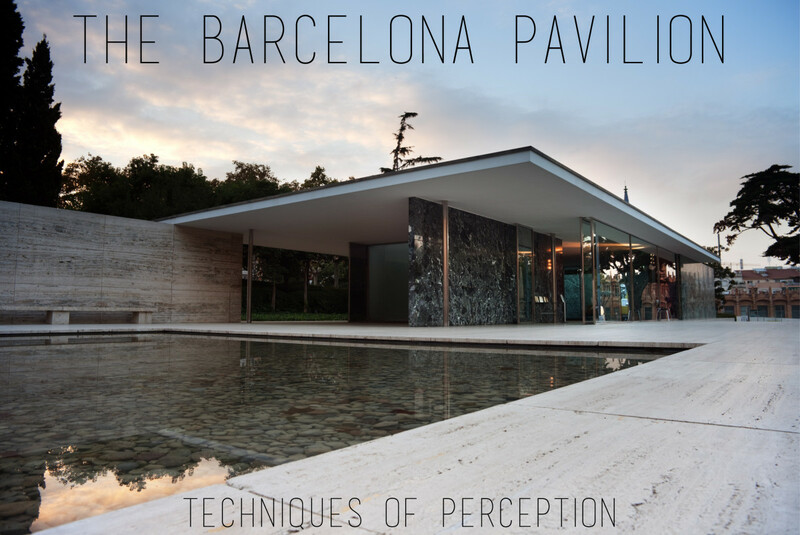 Also the modernity and non-conformity of the Archery Pavilion designed by the architect for the Barcelona Olympics in 1992 contains echoes of the Edinburgh building. 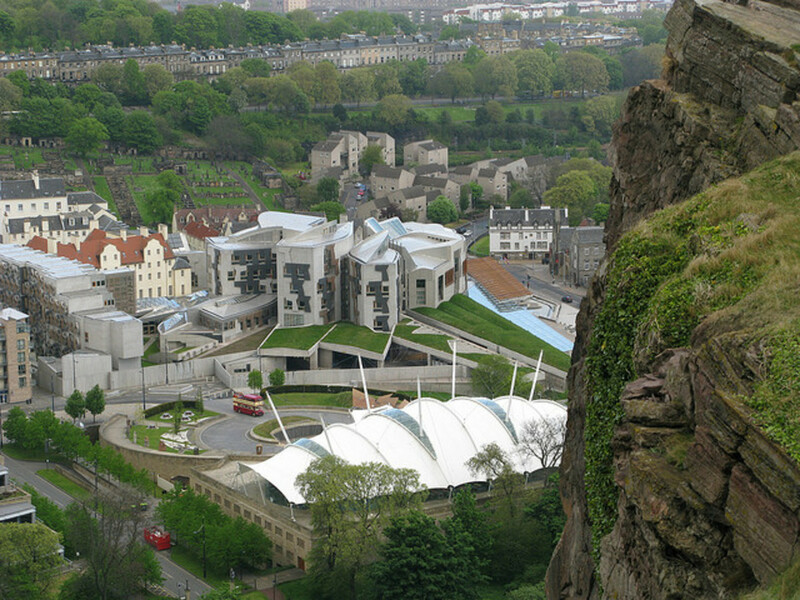 But as much as possible the materials in the Parliament have been extracted from native soil and includes Kemnay Granite and Caithness Stone. Strong materials and specially shaped designs combine to provide a formidable presence and a blast-proof structure in keeping with the precautions of modern realities. However there are not the endless acres of forest available that Scotland once had and most of the oak has been imported from Europe. One notable exception is the floor of the Debating Chamber where the wood is reserved exclusively for Scottish oak. The oak branches that adorn the outside of the building are saplings and therefore indicative of the youth and future promise of the Parliament. The broad outlines of the building have undulating terraces arising from Holyrood Park comprising the stem of the 'branch' as portrayed by Miralles. This motif explains the strange elliptical shape of the segments of the building with their sharp edges. The terraces are places for members of the public to sit and relax or perhaps even demonstrate. The grass covered areas contain indigenous plants and wildflowers and the grass is kept deliberately rough to blend with the hills and land of Holyrood Park. Around the grounds of the Parliament are planted various oak, rowan, lime and cherry trees. The buildings representing the leaves house the various rooms within the Parliament which are seemingly separate but combine in a coherent whole as outgrowths of the branch. The 'leaves' can also be interpreted as the hulls of upturned boats and are a tribute to the maritime industry and trade of Scotland. This duality of meaning is not unusual for the building. Miralles, whether intentional or not, has left an air of mystery over some of the symbolism contained in the Parliament. This creates an interactive dynamism in which the observer can draw their own conclusions and therefore different people may see different things. 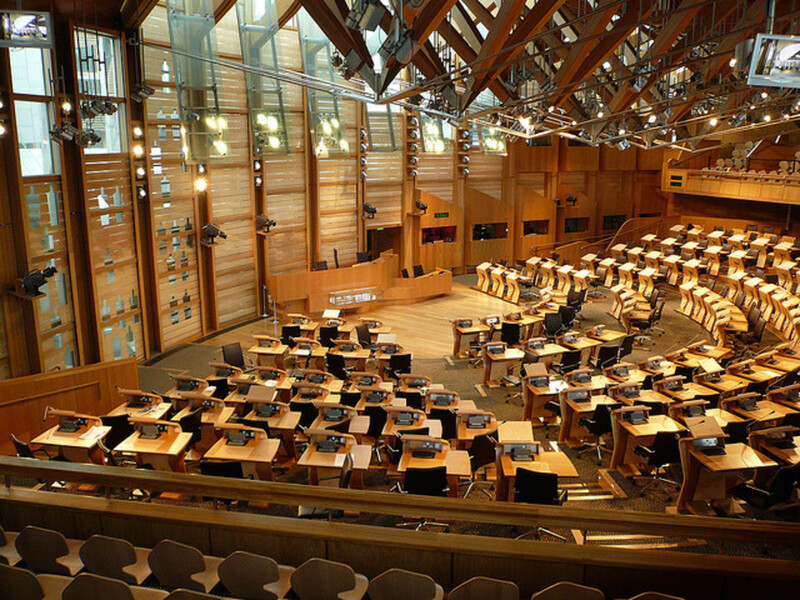 A visit to the Scottish Parliament then becomes a subjective and experiential event. 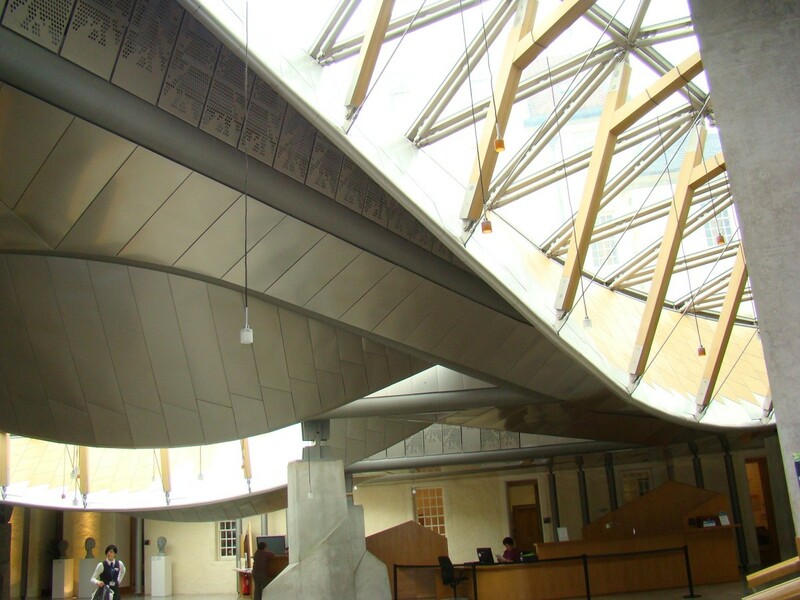 Most of the materials used to construct the Scottish Parliament are evident in this space consisting of three tapered concrete vaults. The vaults were cast on site and feature abstract designs of saltires, the national symbol of Scotland and which is represented on the flag of the nation. Above the floorspace are lightwells which allow natural light to enter the foyer below. Unkindly compared to a 'troglodyte cave' by one visitor it certainly provides a cavernous, almost primordial ambience with the heavy stone looming over the area. The majority of the fixed furniture in the Main Hall is constructed from sycamore and oak. This includes the Visitor Information Desk which was designed by David Colwell. You will also view a selection of the many artworks contained in the Parliament. Around the floor area are information boards about the building which are in English and Gaelic. There are also headphones with audio recordings of sessions in the Debating Chamber. Before you enter the Debating Chamber you will pass under the Arniston Stones. These were part of the old Scottish Parliament in the Royal Mile prior to the 1707 Act of Union. These now form a lintel above the door to the walkway leading to the Chamber and serve as a connection with the past. They were donated by the Dundas-Bekker family from Arniston House in Midlothian. The stones were formerly part of a small bridge that spanned a stream in the grounds of the country mansion. The chamber is designed in a shallow semi-circular layout similar to other legislatures in Europe. Therefore the design is intended to reduce the adversarial environment that opposition benches may encourage as in the House of Commons in London. Less division and more consensus is the ideal that the structure wishes to inculcate in the members. There are 131 seats and desks designed with sweeping curves and leaf motifs of excellent workmanship and detailing. They are evocative of the Arts and Crafts movement of the 19th century. But reflecting the modern world of the 21st century they also contain electronic consuls for MSP's to cast their votes. In the upper level gallery there is seating for 225 members of the public as well as 18 invited guests and 34 media workers. In addition the Main Hall with the public area is located underneath the chamber as a reminder to the politicians that their power derives from the people below. Most of the oak in the building has been imported from Europe but the floor of the Debating Chamber is the exception. It is exclusively made of Scottish oak and this will also be used if wood requires to be replaced. The west wall is decorated with laminated glass panels. Each has a sycamore veneer layer in horizontal strips lying between two panes of glass. The latter are designed in distinctive shapes of stylised figures to give a human dimension to the chamber structure. During the darkness of night when the building is empty the panels shine light onto the desks of the MSP's to symbolise that the chamber is never unoccupied. But during the day the members can view outside through several windows high in the wall. 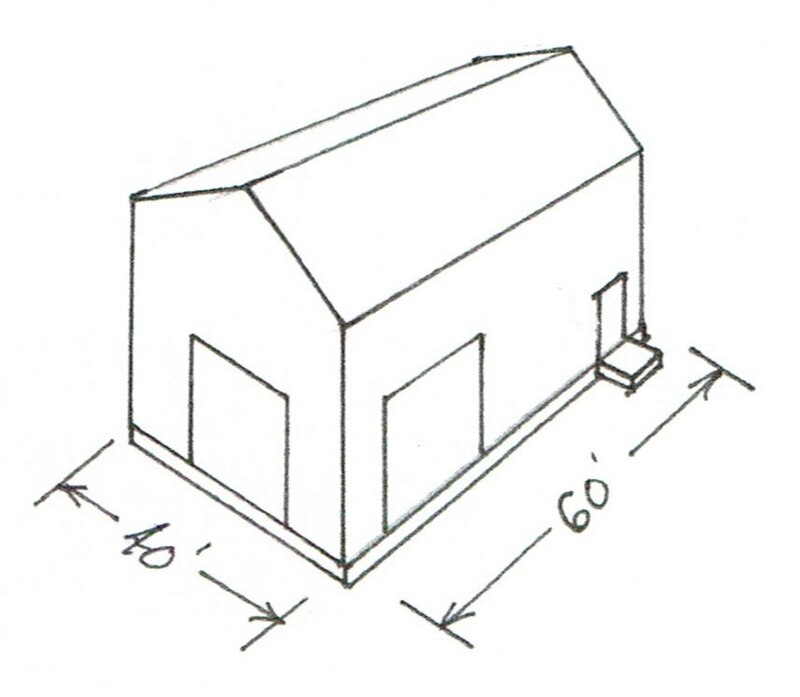 The roof is constructed with laminated oak beams and reinforced steel connectors. They span 100 feet across the chamber without supporting columns. 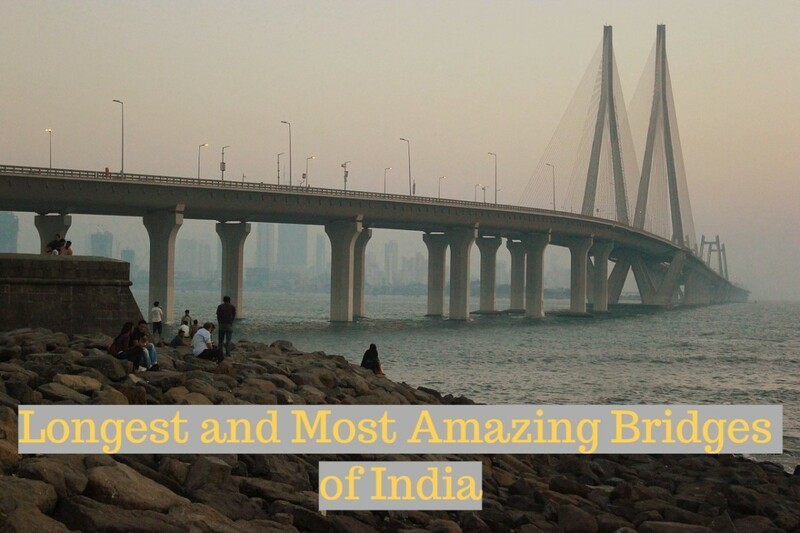 This is made possible through suspension of the connectors from steel rods attached to the walls. The result is a breathtaking expanse of art, engineering, texture and spatial purview. The west-facing MSP Building is clad in granite and has a sloping roof that descends slightly from 6 storeys in height to 4 storey running north to south. 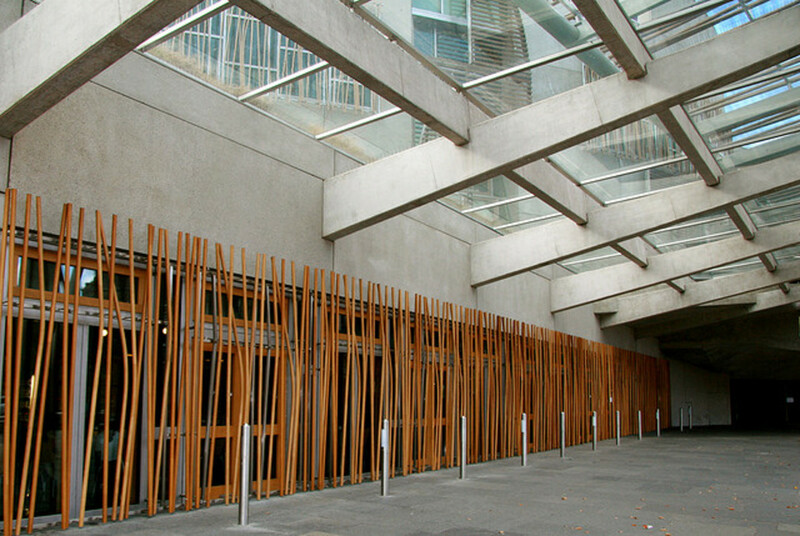 This contains the individual offices for the 108 backbench and opposition MSP's as well as their support staff. Each office is built around a single concrete frame with vaulted ceiling. However to ease the uniformity each office is distinguished by its own abstract feature designed by Miralles. Undoubtedly the most recognisable features of the building are the serried ranks of 114 'contemplation spaces' that adorn the western facade. 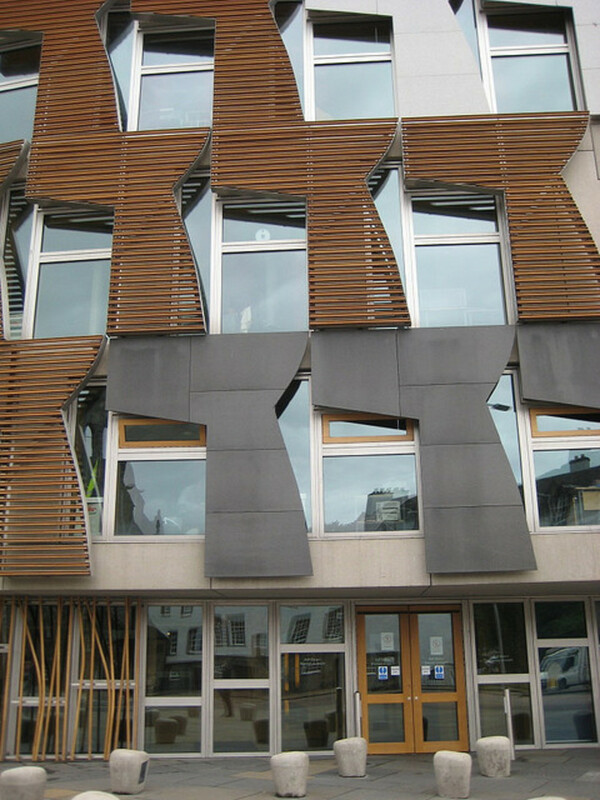 Sometimes also referred to as 'Thinking Pods' these little projections onto the offices are intended as a space for MSP's to sit and reflect on their work and their service to the Scottish people. They are designed with a traditional Scottish stepped gable and made with stainless steel. With an oak framing and oak latticework covering the glazing they project out from the wall at different lengths and angles. They are intended as a private space for the MSP's offering quiet and shade. However some MSP's have complained that too much natural light is obscured from their offices. They have also been likened to stone spittals which are shelters in the Scottish countryside for locals and travellers to seek escape from the harsh weather. Ostensibly to protect from wolves in older times these spittals were also used by shepherds to guard over their flock. Therefore there is a clear metaphor linking the MSP's with the Scottish electorate. However the cynical may gleefully emphasise the sheep symbolism when referring to the populace. As instructed the design would be sympathetic to its historical setting but also be suitable for the 21st century. The former is exemplified by the incorporation of the 17th century Queensberry House which dates from 1686. Designed in the Dutch style with rounded gables and cream-painted sandstone it stands at the heart of the modern building.The red pantile roof is a new construction after the old upper storey was removed. Apparently separate in both style, age and location it is actually fused onto the new structure and adjoining doors afford access both ways. It has also been strengthened internally with concrete and steel rendering absolute its complete integration into the 21st century building. Queensberry House contains the offices of the Presiding Officer of the Parliament who is the equivalent of the Speaker of the House of Commons in the Westminster Parliament. Also present are two Deputy Speakers as well as the Chief Executive of the Parliament and other staff members. Although the building is named after William Douglas the First Marquis of Queensberry the irony is not lost that his successor supported the 1707 Act of Union which dissolved the original Scottish Parliament. 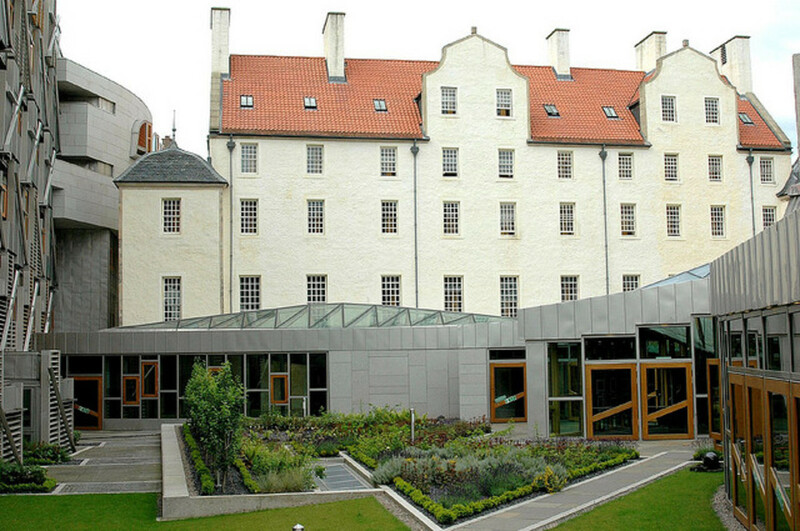 As a tribute to the late First Minister the 'Donald Dewar Reading Room' is also contained within the building. From behind the Debating Chamber the four towers spread out to form the centrepiece of the campus. The roofs of the Tower Buildings are shaped like the upturned keels of boats inspired by sheds seen by Miralles at Lindisfarne in the north of England. 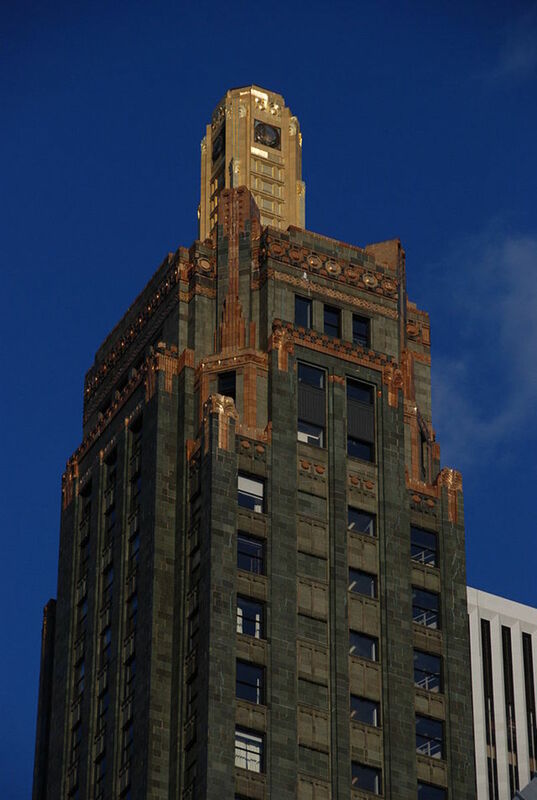 The Towers are made of reinforced concrete which was cast on-site to improve strength. The structure was completed with granite cladding and the distinctive roofs covered in stainless steel. Inside there are six committee rooms which feature complex vaulted ceilings and stem-shaped wood panels on their walls. These are part of the acoustic design to enhance dialogue as well as the aesthetic vision. Technology and tradition combine in these kernels of political power and which also afford views onto the grass-covered terraces. This again is to remind MSP's of the land and the people which they serve. 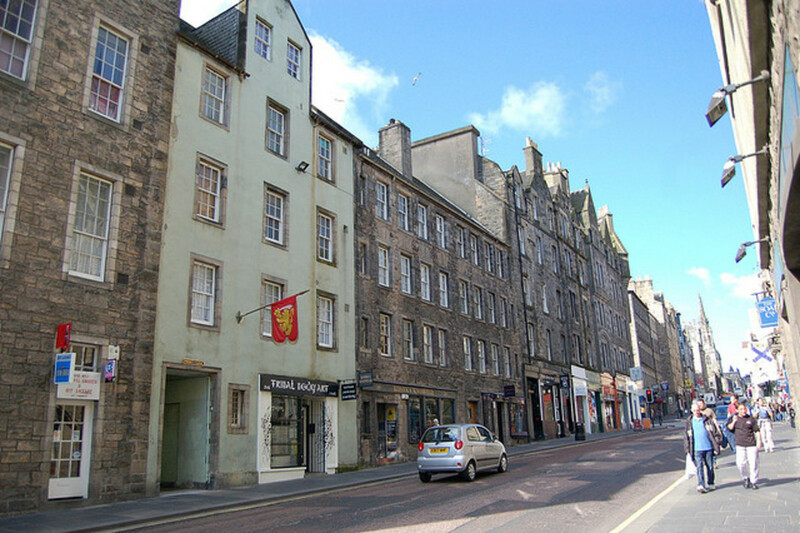 One of the Canongate Buildings is actually set behind the facade and gables of an older building that faced onto the street. Miralles liked the building so much he decided to retain its frontage and add the modern offices. The buildings conform to the medieval street pattern offering intimacy with the local area and its inhabitants. The new Canongate Building is a cantilevered structure which is an impressive sight from ground level. It contains two storeys and is supported by reinforced concrete at its interior end. However projecting from this side is 18 metres of unsupported structure that hangs in mid-air towards the street. The roof is fitted with solar panels which provide energy to heat the water system. Underneath this building is the Canongate Wall which was designed by Sora Smithson. Amidst pre-cast concrete panels are inset a variety of distinctive Scottish stones drawn from the length and breadth of the country. They were carved by Martin Reilly and Gillian Forbes. The lower end of the wall has the outline of the Old Town of Edinburgh based on a sketch by Miralles whilst the rest contains quotes from famous Scottish writers including Robert Burns, Robert Louis Stevenson and Sir Walter Scott. It is an open space where MSP's and staff will congregate and discuss business or simply have social interactions. Television interviews often take place here too since the poor acoustics of the 'Black and White Corridor' were discovered. 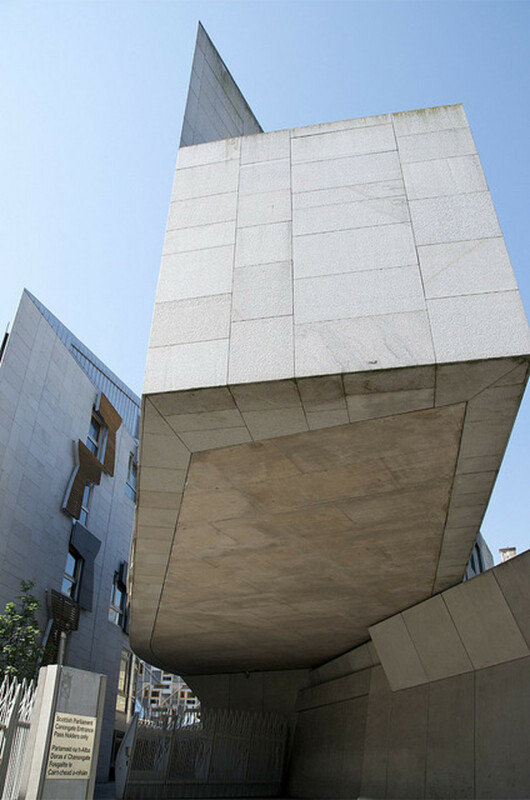 It is the main route from MSPs’ Offices to the Debating Chamber up the staircase described as "one of the greatest processional routes in contemporary architecture" by Charles Jencks. It also provides access to the Committee Rooms where the MSP's meet for Parliamentary business. The flooring is made of Kemnay granite from Aberdeenshire, Caithness flagstones, and oak strips. Above the lobby are twelve leaf-shaped roof sections that allow natural light to infuse the area. These sections are made from stainless-steel and glass covered with a lattice of solid oak struts. The astonishing flow of the design is remarkable from close quarters and truly emphasise the maritime theme beloved by Miralles. The sweeping keel style designs give the vivid impression of the observer being beneath a boat as it passes above low above the head. Many of the steel panels around the roof lights have cut-outs which form the shape of part of the map of the west coast of Scotland. There are also designs inspired by the great Scottish architect Charles Rennie Mackintosh. The Garden is based on a traditional Scottish knot garden and contains traditional box hedges as well as apple and pear trees. This is a reminder that the garden is located on the site of the old orchard of Queensbury House. There is also a small garden for herbs which grows marjoram, lavender, rosemary, thyme, and sage. These are used by the chefs in the Parliament. There are creepers along the rear wall and as these grow the building blends into the landscape. The plants and shrubs represent the main political party colours of yellow, red and blue. Namely the Liberal Democrats, the Labour Party and the Conservative Party respectively. The are external panels of granite and oak on the Media Tower as elsewhere on the building. These are open to interpretation and have been disparagingly called 'anvils', 'hair-dryers' and worst of all 'toilet-bowls' by the less impressed. Benedetta Tagliabue once described them as 'curtains' and 'blinds' which are drawn back to reveal the window. This continues the overall theme of open and transparent government with no closed doors or windows to the public witness. Within the interior is the aforementioned 'Black and White Corridor' which was intended for the media to conduct interviews with MSPs. The floor is covered with black and white Italian marble tiles which are similar to the old floor of the Church of Scotland's Assembly Hall on the Mound. This was where the Parliament sat temporarily from 1999 during construction of the present building. The Scottish Parliament will always have its critics especially among those who baulked at the cost and its drain on the public purse. 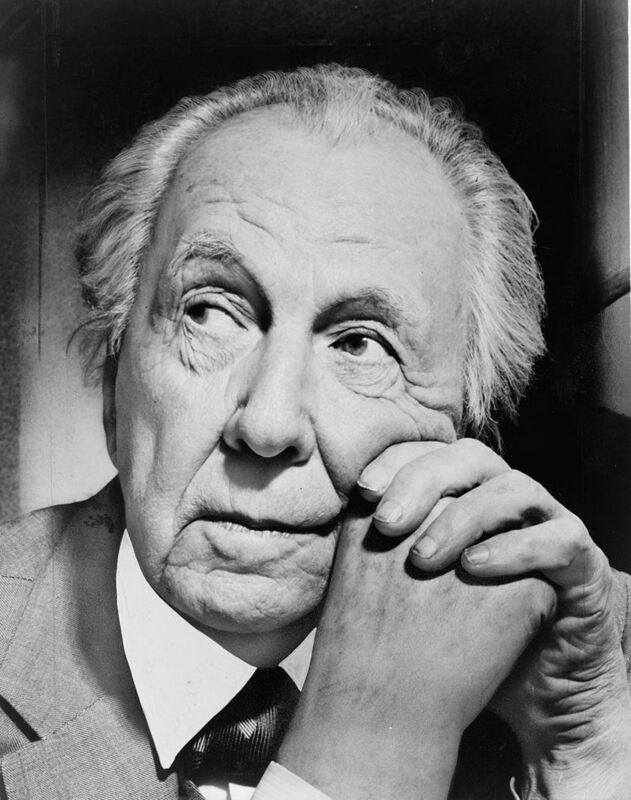 The original proposal speculated at a hypothetical cost of around £40 million but the Miralles design came with an estimate of around £190 million. Therefore there was much controversy at the eventual cost of over £430 million which led to an official enquiry. 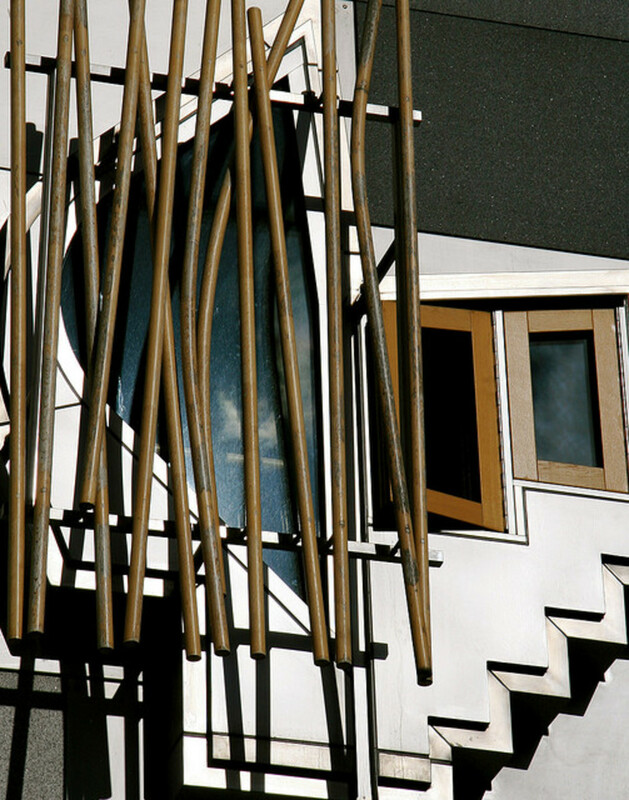 An infamous structural incident in March 2006 in the Debating Chamber added further fuel to the argument. During an actual debate one of the oak beams came loose from the roof and hung portentously over the chamber. It cost £500,000 to conduct structural tests and repairs under the gaze of media scrutiny and public discussion. In fact the bill for maintenance and repair is currently running at around £750,000 per annum. 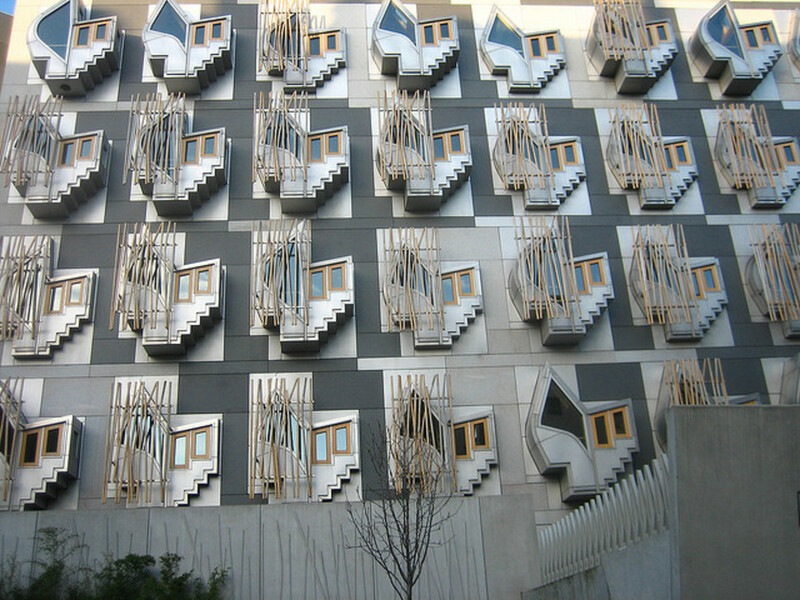 This has led to critics like Margo McDonald MSP to question the design flaws that are claimed to blemish the record of the success of the building as a host for the nation's Parliament. These significant considerations aside the Scottish Parliament has seemed to grow on the Scottish people. 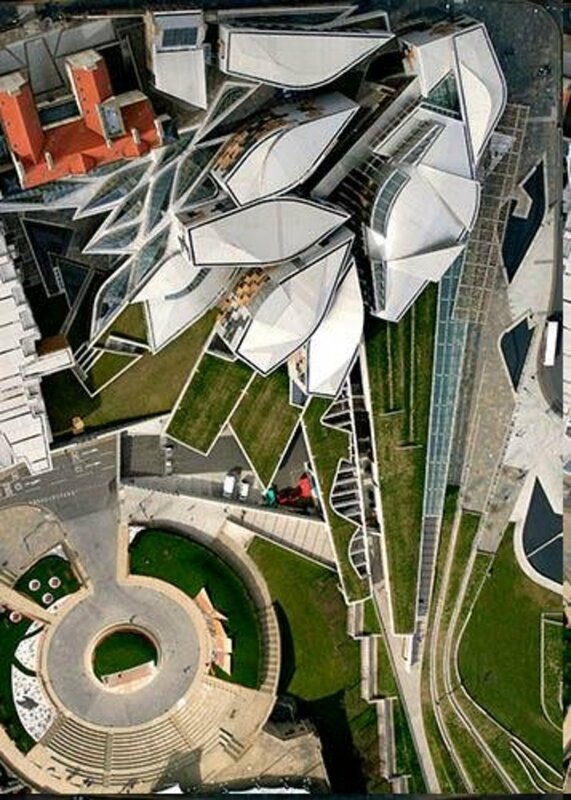 First impressions are surely not always the best impressions and Miralles' phenomenal project has won over many sceptics. "This is a rich, complex and crafted design, as much landscape as architecture, a building that will connect the city centre emotionally and physically to the hills beyond, expressing Edinburgh's embodiment of Scotland's political and cultural will"
Piece of concrete tat on the back of a fag packet design public waste that grates regardless of the establishment claims that is an award winning design. Never a truer word spoken than "the king has no clothes"
I wasn't a huge fan either but when I went on a guided tour inside and read more about it I fell in love with the place. Normally, I cringe when modernistic structures are plunked down in the midst of ancient buildings, of which Edinburgh has many magnificent examples. So much contrast is usually jarring to the eyes as well as the senses. But I was immediately smitten with the Scottish Parliament! I don't care what detractors say, I think it's absolutely gorgeous! A perfect blending of old and new! Having about 3 drops of Scottish blood, I hope someday to visit Edinburgh, my ancestor's birthplace.